With his shift to a more deeper sound in the past few years Deejay Astral (soundcloud) has crafted a dark and brooding style reminiscent of earlier house and techno. On “Duality” from his new Pack the Pipe split EP on the label Who’s Susan with Fede Lng, the Berlin based producer creates a moody atmosphere with elements from both the UK and German scenes. 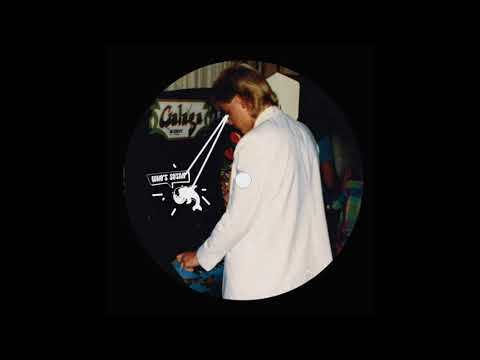 This evocative blend of different styles is a staple of the Dutch label which features other artists such as Axefield, Interplanetary Criminal and Rick Sheen. Established only in 2016 the future looks promising for the young collective. The label will release the split EP on January 15th both digitally and as a 12”. On this premiere the bassline drifts and drifts across the track, leaving space for the warmth and pulse of the kick and hi-hats. Over time it loosens more and finds moments to fill the space in between other sounds with its depth. The main sample builds slowly with a tunnel reverb that bleeds out behind the drums and melodies while vinyl grooves and noise move in and out of the left and right channels of the stereo field. While the layering and sounds present interesting sonic palettes, it comes as no surprise from a DJ known to play with the likes of Baltra and Mall Grab. All the while the main vocal sample slides in and around the other elements of the track. As is tradition within lo-fi house tracks the sample manages to evoke both somber and uplifting emotions all at once. It matches the brooding feel of the bassline while also reaching the heights of the main refrain. With subtle reverb giving it the sense of desperation and tension it cuts through the mix and compliments the songs main melodic presence. As he teases another drop at the end of the track you’re unsure of whether the person talking to themselves in the bathroom mirror made it out to conquer their adversity. “Duality” is one of two tracks by Deejay Astral from the upcoming Pack the Pipe EP with Fede Lng. Out 1.15.18.